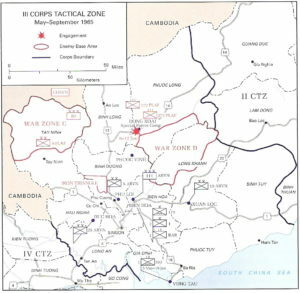 This map shows the general Area of Operations of III Corps and 25th Infantry Division. The Angel’s Wing and Parrot’s Beak along the Cambodian border can be seen lower-left. Saigon is in the lower center.